For 20 years Steve Wiest and his team of craftsmen have been transforming the homes of people in Fresno, Kingsburg, Reedley and the surrounding communities. With creative design, quality materials, and a craftsman’s hand, the Dovetail team makes homeowners’ dreams a reality. Dovetail’s specialty of historic remodel requires an eye for detail. That same precision and care goes into all our projects. 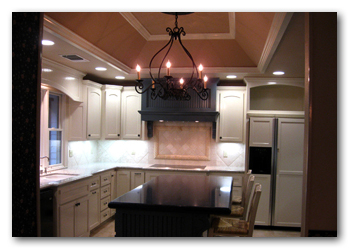 Whether you are looking to remodel your kitchen, renovate a bathroom or build a room addition, we are here to help you turn your home into a place of beauty and livability. Read more about what we do. We know from experience that it costs less to do a job right the first time. In every aspect of the process – design, material selection and workmanship – we save you money by good planning and quality construction. The right design and excellent workmanship means good value for you, the homeowner, creating living space that will stand the test of time.